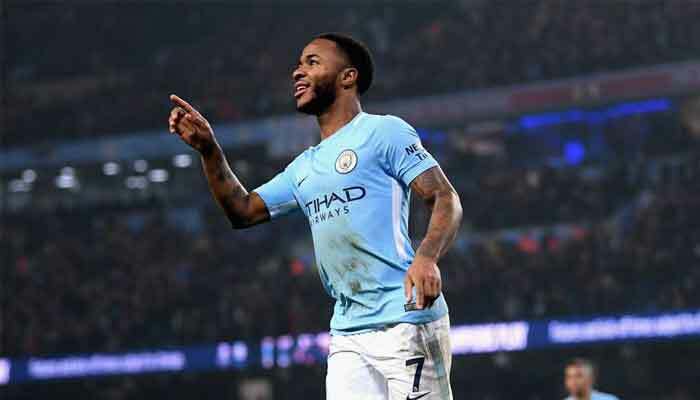 LONDON: Manchester City star Raheem Sterling sent a letter to a 13-year-old goalkeeper after hearing he had been racially abused advising him to "stand tall and be proud of who you are". Sterling himself was the subject of alleged racist abuse from Chelsea fans in a Premier League match in December. He wrote the letter on club headed paper when informed by Ethan Ross´s grandmother he had been "through a tough time with racial abuse." Ross, a goalkeeper with the Under-14 team at fourth-tier Newport County, had been racially abused at his school. "Dear Ethan, I have recently been told from your loving Nanna Sue about the tough time you are having with racial abuse," wrote Sterling, who also enclosed signed photographs of the Manchester City squad. "Remember to stand tall and be proud of who you are and don´t let them take away your courage. You are strong and very brave, and your Nanna is also very proud of you. Keep being you kid. "Remember speaking up doesn´t always make life easy, but easy never changed anything." Ross took to Instagram when he received the letter on Saturday. "OMG just got this in the post from Raheem Sterling! Signed by all the Man City players. Thank you so much Raheem Sterling for the support," Ross wrote on Instagram. His grandmother, who did not wish to give her full name, told The Times that Sterling´s gesture had done wonders for Ross´s morale. "When I took the package over to him you should have seen the look on his face -- he was overwhelmed," said the 62-year-old. "There is nothing I could say to Raheem to thank him enough because it has really boosted Ethan´s confidence. "I can hear it in his voice. He has shown the letter to his friends and it has just gone absolutely mad." Ross´s grandmother said she had written to Sterling when she read about the alleged racist abuse incident at Stamford Bridge which led to Chelsea banning four supporters pending further investigations. The grandmother said she hoped the letter from Sterling -- who was born in Jamaica but came to England aged five with his mother after his father was gunned down -- had been read by others and would serve to do some good. Despite the abuse Ross showed the same steeliness 24-year-old Sterling -- capped 47 times by England -- has done on the pitch. "After all he has been through last year, Ethan´s grades still went up -- so we are immensely proud of him," his grandmother said.